You are here: Home > Happy Thanksgiving From TmoNews! From all of us at TmoNews to all of you at home and abroad, we wish you a very happy Thanksgiving filled with friends, family and love. Stuff your faces, enjoy good company and give thanks for all that you have and all that you are. I thank all of you for being the very best audience a technology blog could hope and wish for, you guys truly rock. To all of our soldiers serving abroad away from family and friends, thanks. Thank you for all your efforts in running an enjoyable site. I just hope Tmobile is still around next Thanksgiving and you continue to have something to report on. Happy Thanksgiving. Thank you as well! Your articles have brought me so much joy! Happy Thanksgiving to the TmoNews crew and a huge thanks for keeping it going! Thank you for keeping us with the latest & the greatest! Thank you David and everyone who contributes to this blog! Happy Thanksgiving! The network is down in TX right now. Never was for me in the San Antonio area. Happy Thanksgiving, thanks for the great site! Thanks David and crew. Thanks for a the stories and premieres on T-Mobile. Thanks!!! Happy thanksgiving David and crew. You guys do a great job. I love your site and the great job that you do. This is the only blog site I ever watch and read, and it’s all because you guys do a great job.Thank you for everything. To David and the staff, sometimes we tend to take for granted what yall do in lieu of getting info for us. For this reason and many more, on behalf of us tmo faithful, Happy Thanksgiving, God bless, and Thank You. 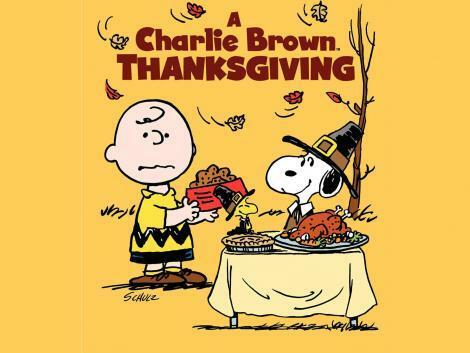 Ahh, Charlie Brown’s Thanksgiving. A classic! happy thanksgiving tmonews!!!!!! i know its over…. to give us folk under contract free phones that would be great! Take care. Hey David can my have a smartphone from your guys ?